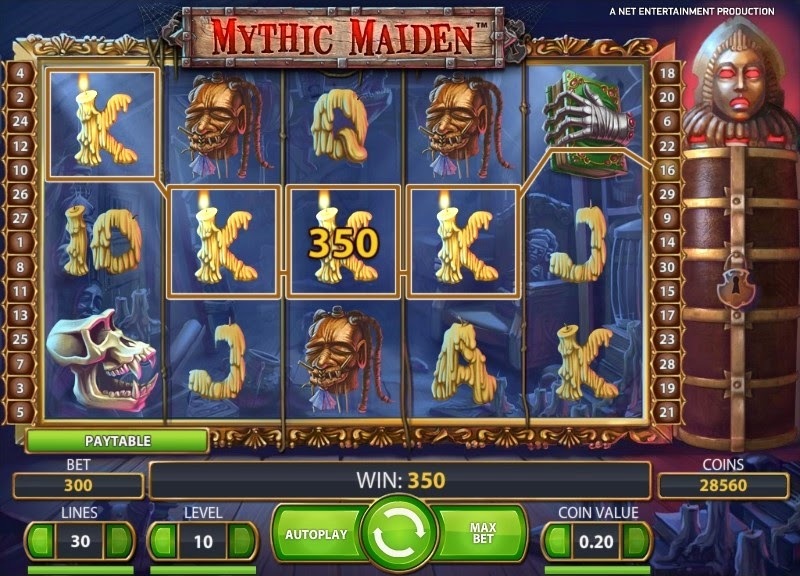 Mythic Maiden is a new Net Entertainment video slots game with a really scary theme, it has 5 reels and 30 paylines. 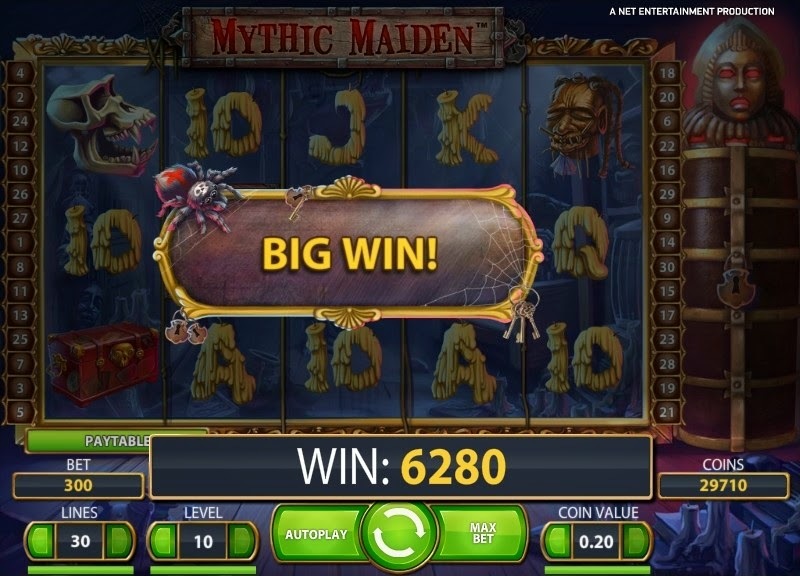 This spooky but intriguing slot portrays eerie spiders creeping across the reels, candles covered in melted wax, skull-locked chests, witches’ heads, mystical books, and wild animal skulls, just to name a few, coupled by genuinely uncanny sound effects that really set the mood. 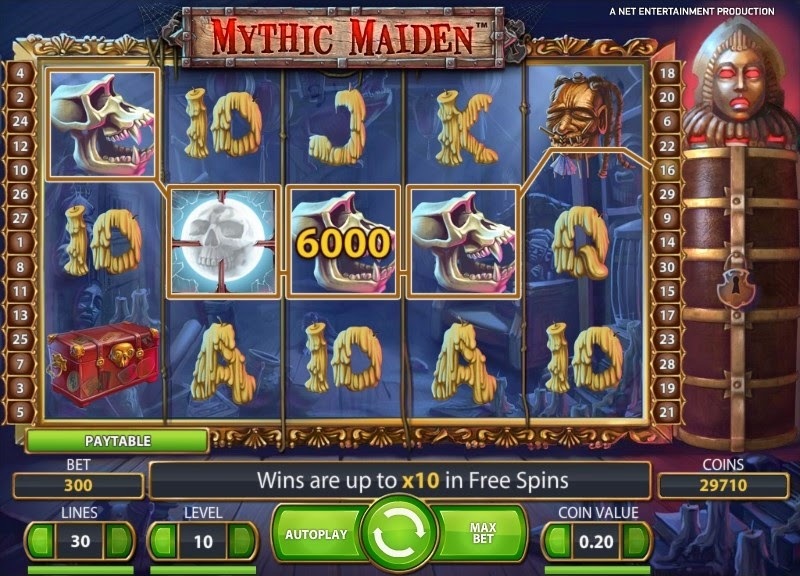 Spooky moonlight wilds, ghostly scatters, and the mysterious iron maiden coffin that gives away extra free spins and multipliers are also included. 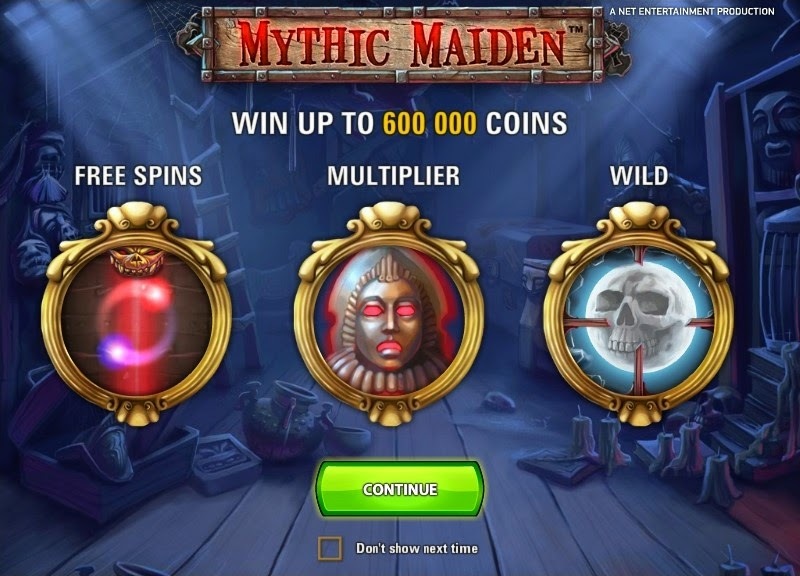 In the free spins mode a randomly multiplier is chosen for every free spin when the Iron Maiden is open, this multiplier varies between 2x and up to 10x your total bet. 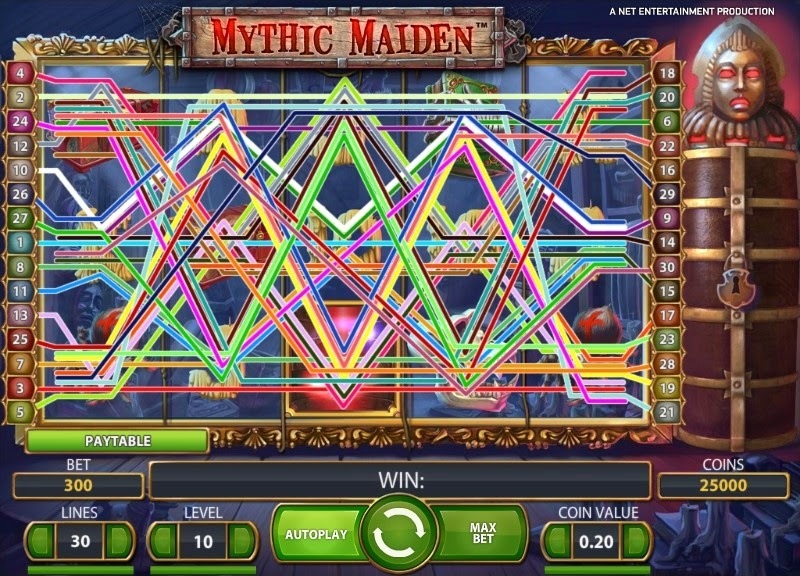 Mythic Maiden video slot has one bonus feature that becomes active when you get the scatter symbol of at least three swirling lights. When this takes place, you will receive 10 to 30 free spins depending on the number of swirling lights symbols that you spin. 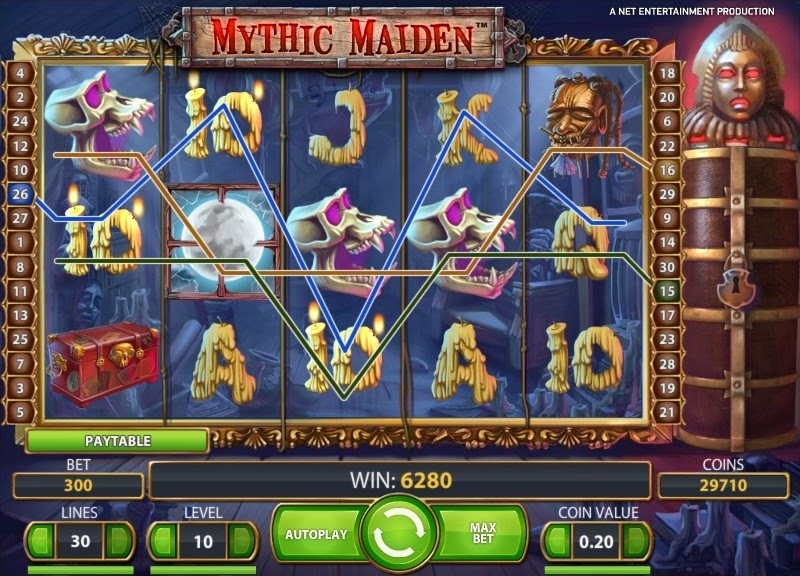 When the free spins do occur, the Mythic Maiden at the screen’s right side will open and then each spin may award up to 10 times multiplier or up to two extra spins.